Storybook Charm …. Originally built 1929 antique 3 bedroom home with white picket fence and the special addition of a koi fish pond. Renovated over the years to accommodate expanded living. Plus cozy bunk house for a summer guest or separate office. 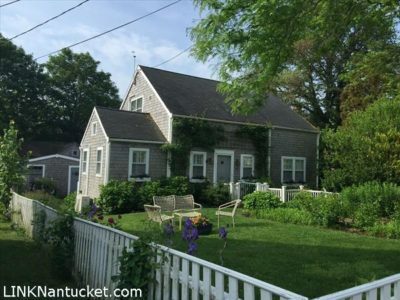 Thinking of an old Nantucket feel, look no more. Cozy and quaint within a short distance to historic downtown and harbor beach. Great investment for Town residence.